Anyone who knows me knows that I'm a big fan of FM (old and new), so it stands to reason I'd like their new album. The things is, I hope those people would also realise that I wouldn't ever give them a free pass just because of who they are. After the excellent 'Heroes & Villains' from a couple of years ago, though, I'll admit I didn't have too many concerns over the quality that was likely to emerge. 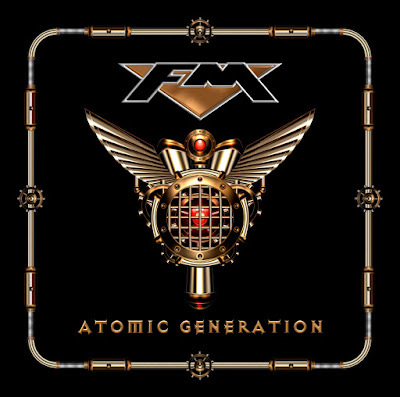 Straight off, it's clear 'Atomic Generation' will appeal to those who enjoyed the previous album, with opener 'Blac Magic' coming off not a million miles away from that album's 'Digging Up The Dirt' opener. Solid, punchy and catchy, it's a good opening statement though. Second track 'Too much Of A Good Thing' is oddly placed, as it's a slower track that, whilst catchy, is possibly the weakes on the album. Fortunately it all comes to life again with the standout track 'Killed By Love', a ridculously catchy melodic rock gem, the crunchy 'In It For The Money' and the smooth melody of 'Golden Days', a nostalgic tune that stays with the listener. there's been a bit of divided opinion over 'Playing Tricks On Me', which has been released as an advance track, mainly because it really sounds like it should be on a Carlos Santana album, and this is pretty accurate if Carlos had Steve Overland's golden tonsils. Either way, it's a REALLY catchy song that can be enjoyed by rockers and Radio 2 fans alike, and I can see why it was included here. The second half of the album is as strong as the first, rocking out with the likes of 'Make The Best of What You've Got' and 'Follow Your Heart' and closing with the really beautiful 6 minute ballad 'Love Is A Lie', a track that will either move you toi tears or bore the arse off you. Me, I liked it. 'Atomic Generation' is a perfect representation of where FM are in 2018, with straightforward AOR mixed with more creative styles, all held together by a band that are tighter than Scrooge McDuck's purse strings. There's plenty here for those who like to sing along, with nothing to offend anybody in any way whatsoever. 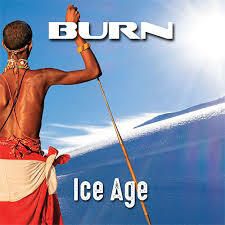 Sometimes it's nice to just sit back and enjoy an album of melodic rock growers, and that time is now. Defininitely my sort of generation. 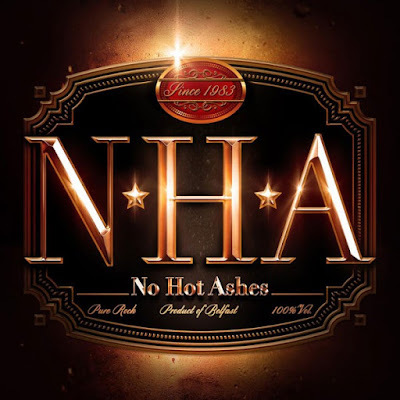 Fifteen albums and about twice as many line up changes have caused some to wonder if this is even Bonfire any more, but guitarist Hans Ziller owns the name and as long as he's in charge then Bonfire will be the name of the band, except when it's EZ Livin', Charade etc etc. Of course, when you get down to it, it's all about how good the music is, and Ziller certainly doesn't tend to put put crap if he can help it, si maybe don't light those torches just yet. "Temple Of Lies" kicks off with the now standard wanky intro piece that tells of the legend of the Temple Of Lies like it's a frickin' concept album (it's not). At least it's improved by some serious guitar widdling as it goes into the title track. This is where things get interesting, as it's really pretty darned good, with a serious crunch, power and melody that works well, bolstered by the powerful vocals of Alexx Stahl, on his second album with the band. After this things continue to be interesting, with "Wings Of An Angel" and "Feed The Fire" giving way to the fist-in-the-air catchy "Stand Or Fall". this may not be the Bonfire of old, but this new Bonfire can seriously rock, with Ziller's guitarwork underpinning everything rather brilliantly. Seriously, the man can work a fretboard with the best of them. The most AOR track is the melodic "Fly Away", probably my favourite on the labum, with the sole ballad, "Comin Home" being the only track that I will end up deleting as it's a bit shite. With thsi album, Bonfire come accross as a band determined to show the naysayers that they still have what it takes, and I'm convinced that they do. Ziller shines throughout and Stahl suits the music nicely, and whilst plenty of it is by the book melodic hard rock it's so well done it's a pleasure to listen to. 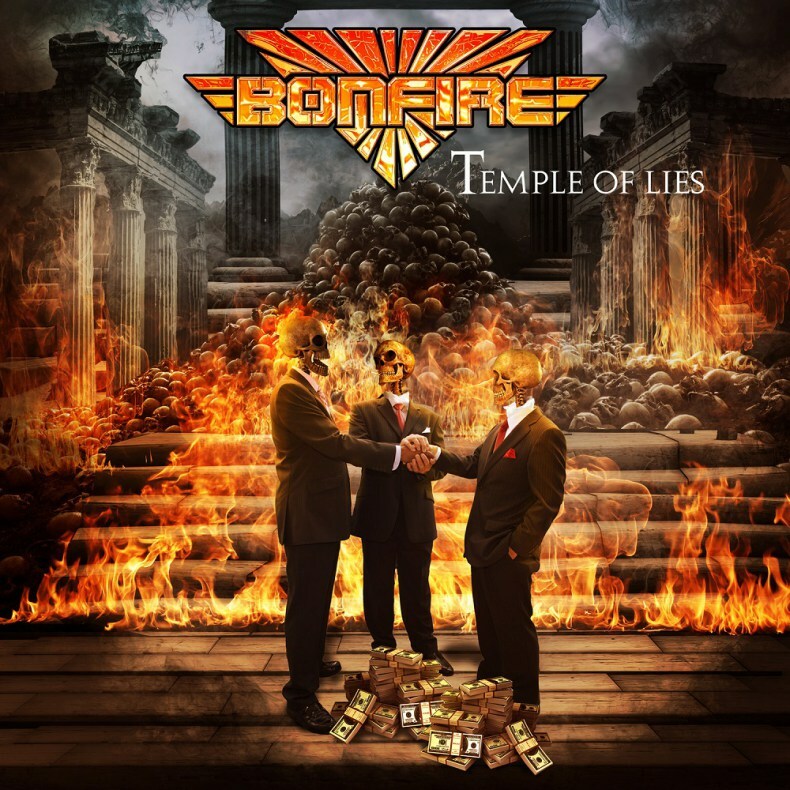 Definitely the surprise of the month for me, "Temple Of Lies" is proof that the 'fire is still burning brightly. Greybeards may sound like some prog rock outfir comprised of septuagenarian musos, but in reality they are a bunch of young, hip Swedes who like to belt out uncompromising hard rock not a million miles away from Foo Fighters at their most fluid and aggressive. 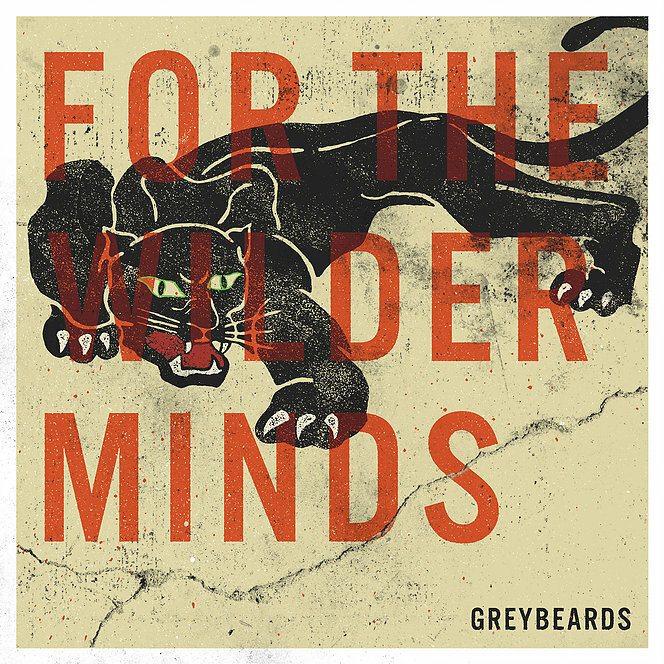 'For The Wilder Minds' is the second effort from the band, following on nicely from their debut 'Learning To Fly'. They've been flying round the world on the back of that for two years now, and although the new album isn't a leap forward musically it delights in following it's predecessor's footsteps. This will certainly be good news to those who liked Greybeards style of straightforward rock with good melody and a galloping pace. There's no guitar heroics, no super silky vocals, just head down music that will either energise or bore you. Personally, I found myself somewhere inbetween, as I certainly like listening the likes of 'Fast Asleep', (the new single) or humming along to the catchy 'One In A Billion', but whilst the album is a snappy ten tracks long the lack of variety can mean full playthroughs are not as enticing as quick listens to certain tracks. Full on, ferociuos and fun, 'For The Wilder Minds' is a solid follow up for Greaybeards and will appeal to anyone who liked the debut or looks back wistfully at the time when Foo Fighters still had big balls of steel. 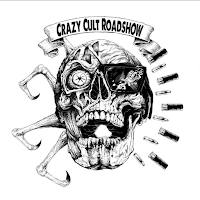 Crazy Cult Roadshow is a Dutch hard rock/metal band from the beautiful south of The Netherlands. After two impressive Eps, the four piece band, consisting of Roel Peijs (vocals), Steven van der Vegt (bass, keys, vocals), Krit Verbeek (guitars) and Kiki Beemer (drums and vocals), now release their full length debut album on vinyl. The self-titled album contains 10 songs and these tracks form an apocalyptic roller coaster ride of rock, metal, rock and roll, grunge and stoner music; so get ready to bang your head!! Opener "Luring Lights" sets the tone for the rest of the record: mean heavy guitar riffs, "brutal", rough vocals, pounding drums and more than excellent guitar solos. "Closure", which is already a well-known cult song in Limburg, features a very catchy opening, extremely raw vocals from Peijs and a ferocious guitar solo at the three minute mark! Other tracks like "Fistful Of Boomstick" with a more than excellent bass guitar riff or the experimental, almost instrumental "That Thing From Another Planet" kind of remind me of bands like Monster Magnet and Hawkwind; so really awesome. Suitable for a single would be the song "Ride The Fuzz", as that one really has an addictive chorus. This excellent album ends with a song called "Risky Business", which again features a nasty guitar hook and a splendid howling guitar solo. 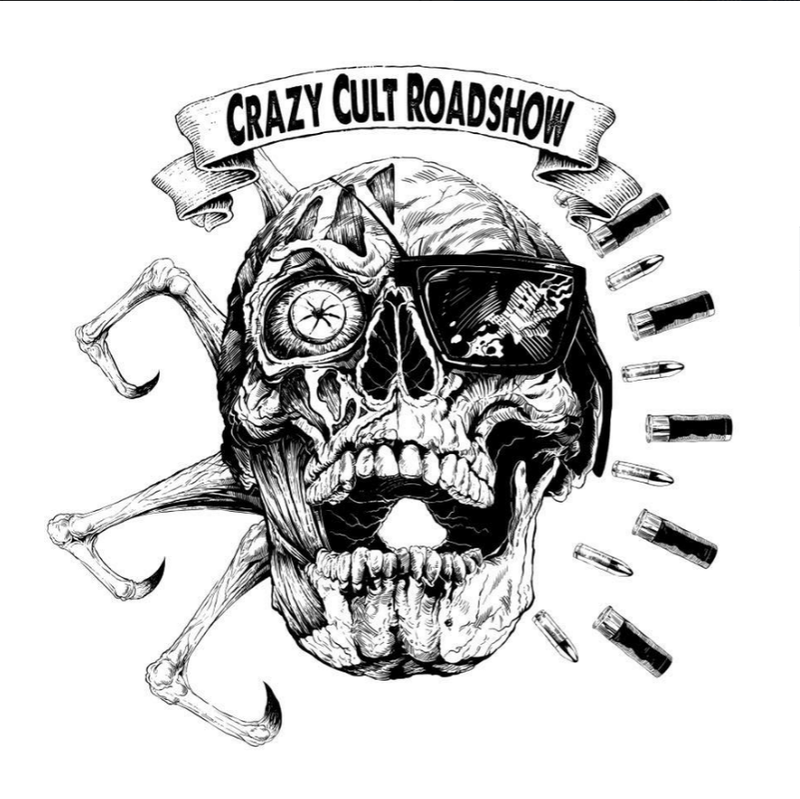 Crazy Cult Roadshow can be very proud of this album, so check it out, buy it, and play it f... LOUD and keep on banging your head and screaming along till your voice stops making noise!!! This is already one of the great surprises of this rock year, so do not miss this release!